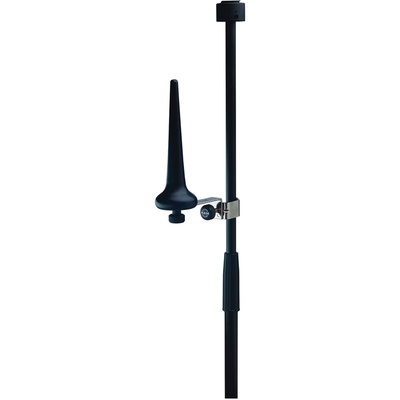 Product #46652 | SKU 15225 | 0.0 (no ratings yet) Thanks for your rating! Suitable for A and B clarinets, the black K & M 15225 Clarinet Holder can be easily attached to stands with a diameter of up to 1.18" (29.97mm). This clarinet holder keeps the clarinet protected from incurring any scratches. It also features a felt ring and a wooden peg.